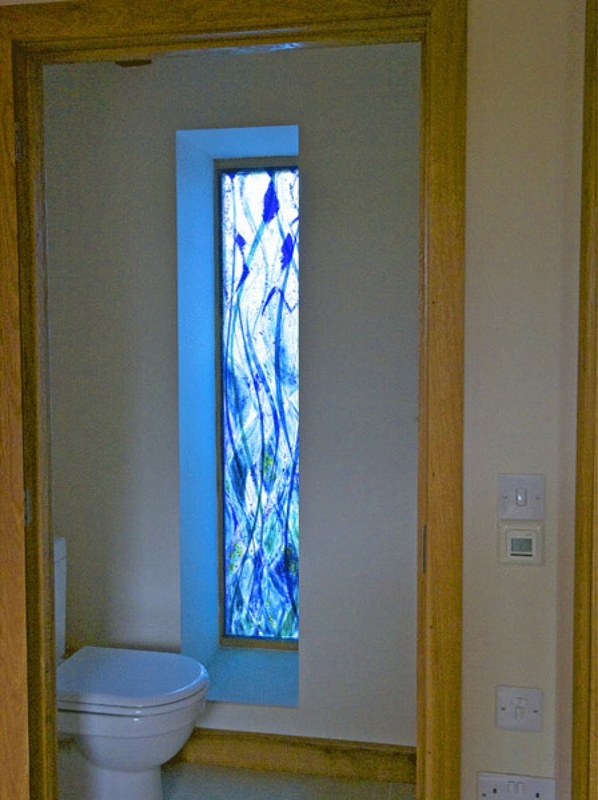 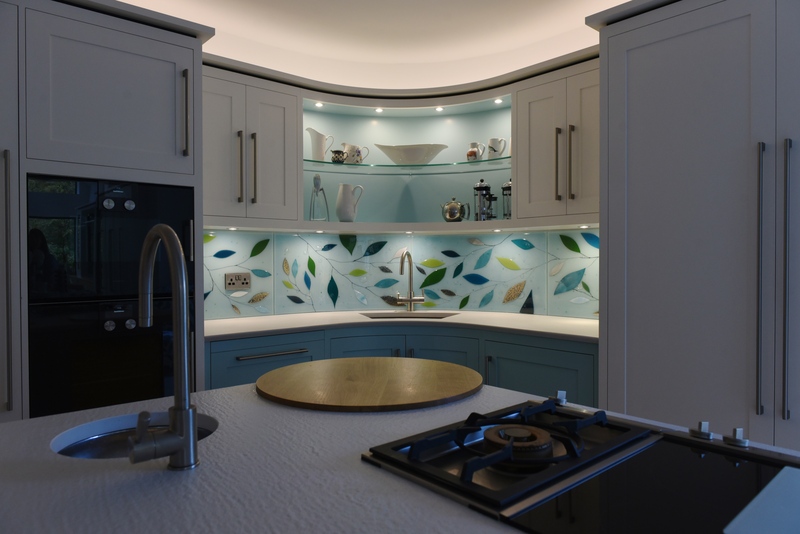 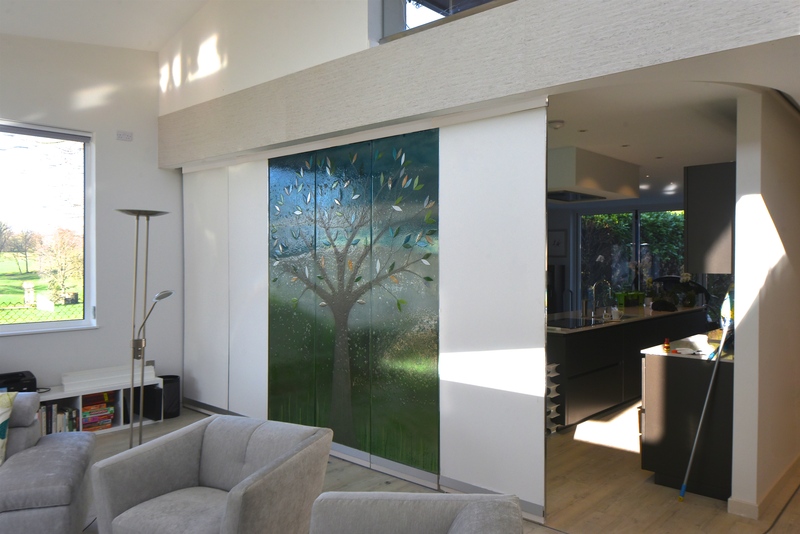 This transparent bespoke fused glass window gives a wow factor to this cloakroom. 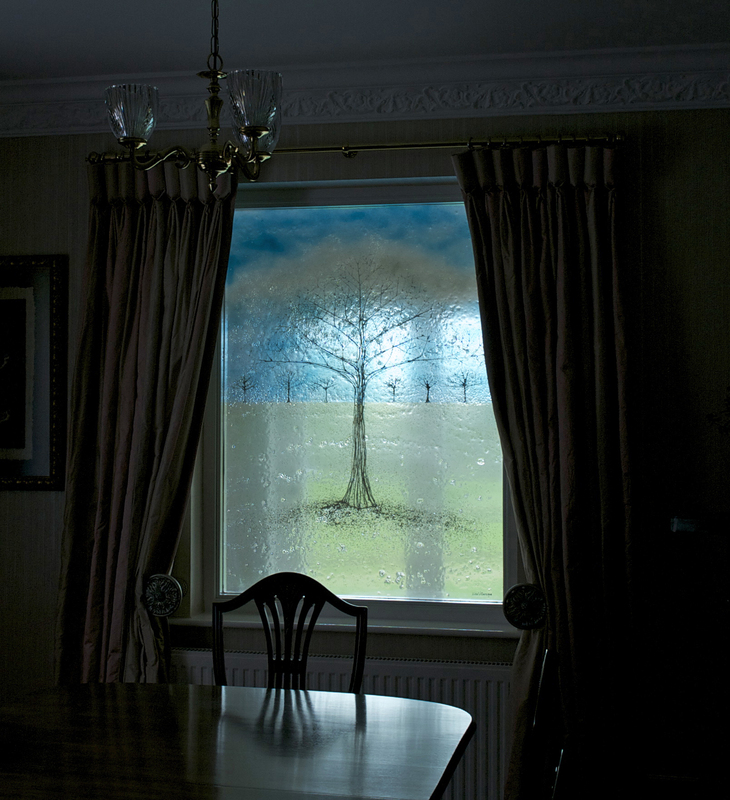 As it is a ground floor room the bottom half of the panel is very obscure becoming more transparent to the top. 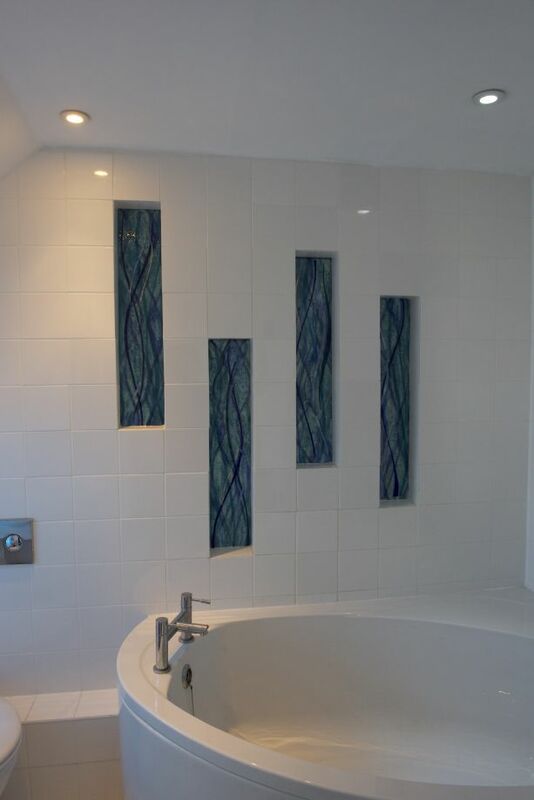 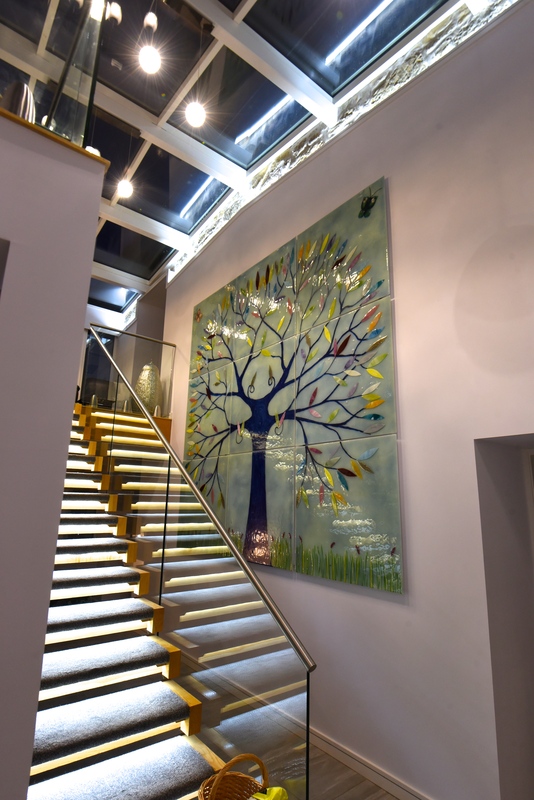 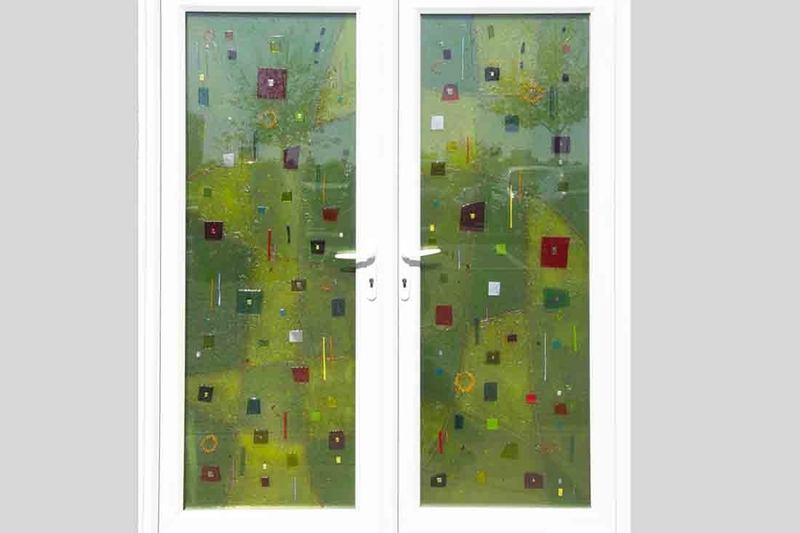 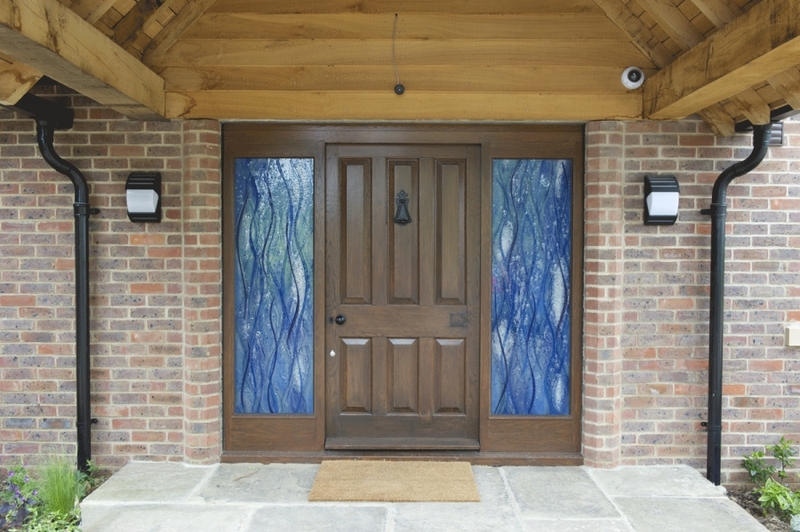 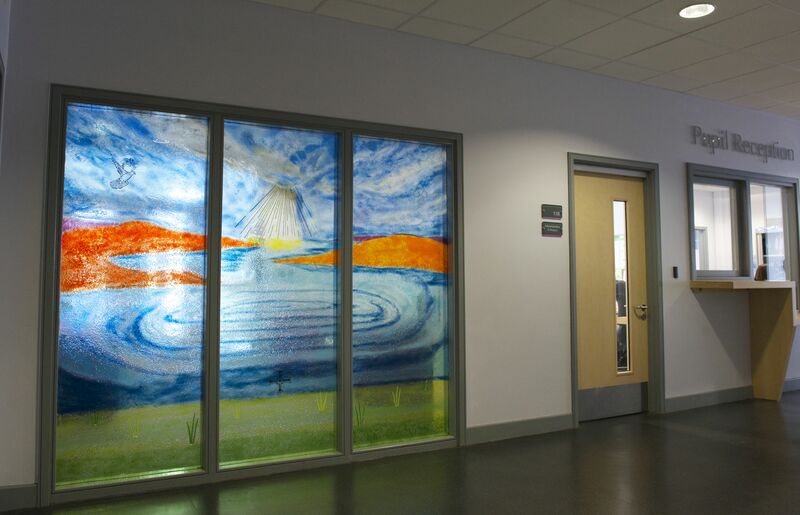 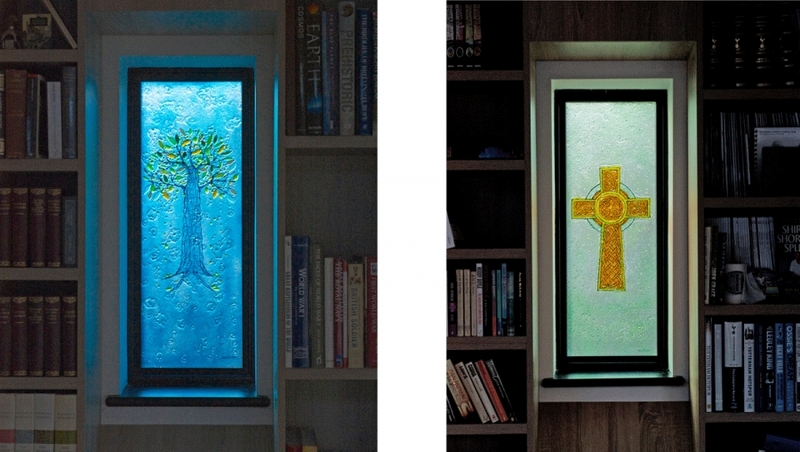 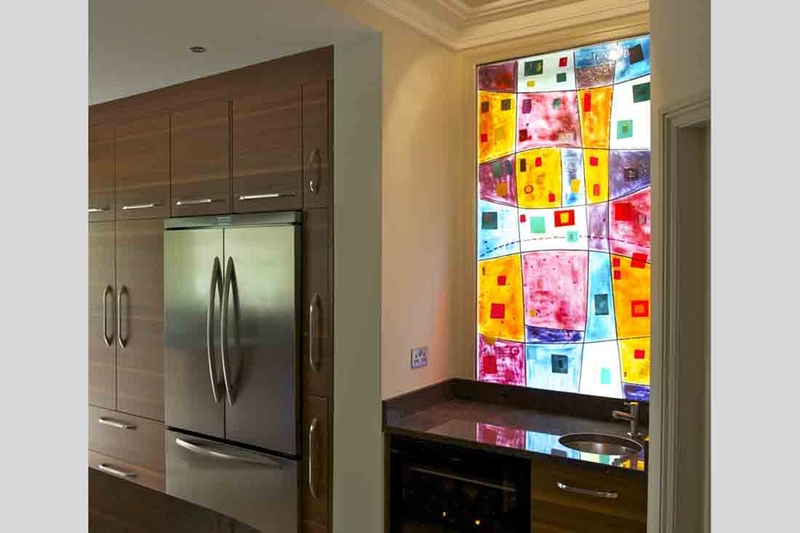 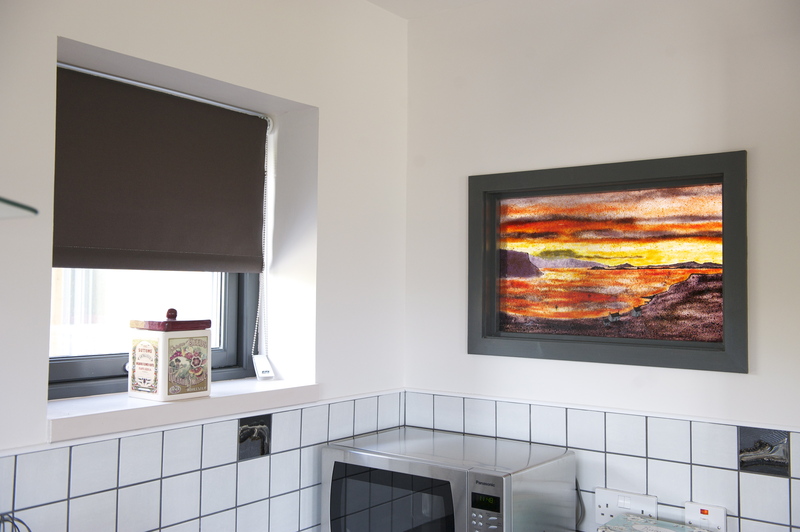 This modern option to stained glass windows is fitted in front of the existing and easily removed if required.